Fall and winter are upon us, and dogs need warmer clothes. Doggy in Wonderland carries chic dog sweaters in all sizes from Tea-cups to Great Danes. We have 100% wool dog sweaters, hand made sweaters, and Fair Trade sweaters. Some have matching collars, leashes or harnesses. All are very cute and fashionable. This Patriotic dog sweater is made following the Fair Trade guidelines. It's handmade & may ..
hilly Dog Sweaters are made following the Fair Trade guidelines. All sweaters are handmade & may.. This fabulous sweater is made following the Fair Trade guidelines. It's handmade &.. These sweaters are made following the Fair Trade guidelines. All sweaters are handmade & may var..
Adorable & soft & available in colors for your prince or princess! Your pup will never be.. This classic styled sweater is made following the Fair Trade guidelines. It's handmade & may.. This chic dog sweater is made following the Fair Trade guidelines. It's handmade &..
SOOOOO CUTE!!! This precious Christmas sweater is made following the Fair Trade guidelines. It.. Your precious pup will be a hit ths holiday season in this DARLING Fair Isle snowflake hoodie sweate..
Adorable Christmas Themed Sweater! Your pup will look so sweet in this soft sweater! ..
Adorable Christmas Theme Sweater! 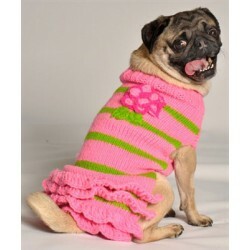 ..
Keep your dog cozy and warm in this dog sweater. It is made of 100% wool, and will be a comfortable .. This classicly pretty sweater is made following the Fair Trade guidelines. It's .. This classy & sophisticated sweater is made following the Fair Trade guidelines. It's .. This sweater is made following the Fair Trade guidelines. All sweaters are handmade & .. The Honeycomb sweater from Kate Ross is a design sure to make any dog feel like a fashion hound. Mad.. This sweet I Love My Mom sweater is made following the Fair Trade guidelines. It's &nb..
Jack Frost may try nipping at their nose but these very classy hand knitted sweaters will keep them ..